Looking for a good reason to “Meet Me in St. Louis” for the Better Marriages Conference July 9-12, 2015? Look no further! 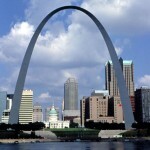 St. Louis has received several awards from AAA Midwest Traveler Magazine. It has been named the “Best Large City for a Weekend Getaway” in the Midwest! Come early and stay late to experience all St. Louis and the Midwest have to offer! Readers have named St. Louis as the best large city in the Midwest, followed by Kansas City and Chicago. Visitors to St. Louis can enjoy many attractions and activities that are either free or have reasonable fees. While the city is a year-round destination, it especially shines in summer. The city’s jewel – Forest Park – and its many cultural attractions buzz with activity. The St. Louis Art Museum just added 30% more exhibit space. In addition, a free outdoor film series will be on Friday nights in front of the museum on Art Hill Plaza. Add into summer’s mix the big Fair St. Louis over July 4th weekend, the summer concerts at Soldiers Memorial downtown baseball action at Busch Stadium, festivals, restaurants, nightlife that includes several area casinos – wait a minute; you’re going to need more than a weekend! St. Charles, MO! Proof that everything old is new again, this lovely city on the Missouri River, located an hour from St. Louis, has all the makings for a great day tour. Shop or dine along Main Street near the river, Missouri’s largest and oldest historical district. See the state’s first capitol. Bike or hike the popular Katy Trail State Park. Immerse yourself in Lewis and Clark history. Summer and fall bring plentiful festivals and outdoor concerts or events. « Where Did Our Love Go?